This entry was posted on June 14, 2016 by Alpine. 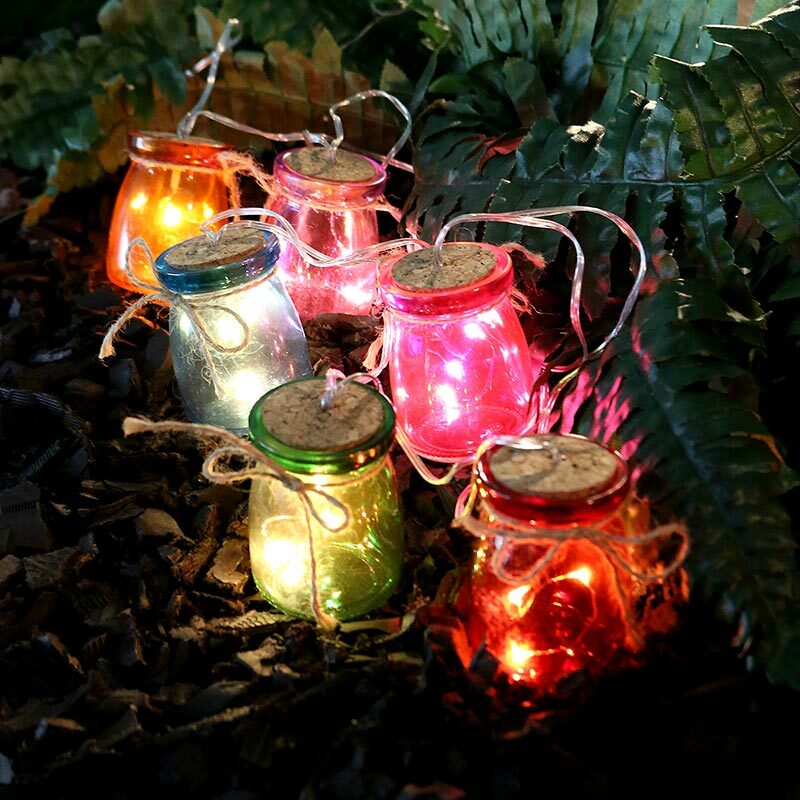 Fill the night with the warm glow of these LED jar string lights. Set the right mood in any room or brighten up your outdoor space. Made of beautifully blown glass with a hemp string tied around each jar. Available in warm white and multi-colored versions. Includes 6 hour battery timer for hassle-free operation.